Every season Stephanie Owen, the creative genius behind Elizabeth Cole Jewelry blows us away with her designs! 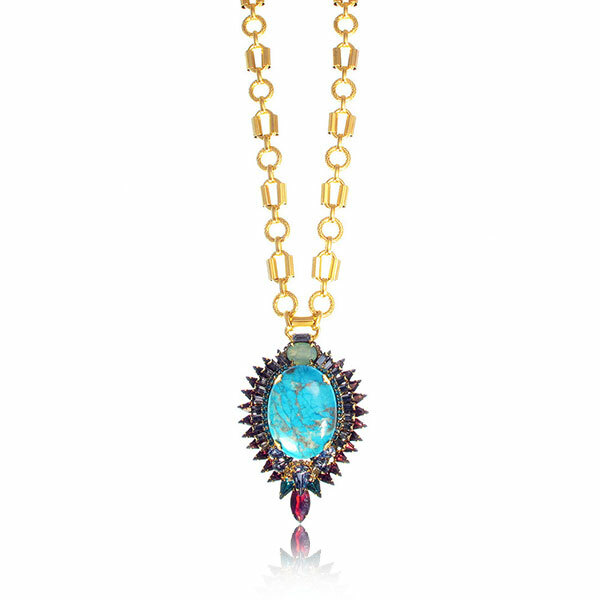 This season our Editor's choice pick is the Kyler Turquoise Necklace. This gorgeous piece is perfectly set with glass stones, Swarovski crystals, and turquoise Howlite. Make a statement this summer in the Kyler Necklace. Made in the USA.